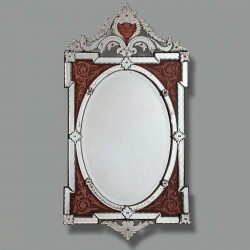 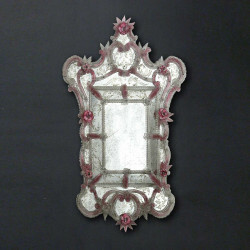 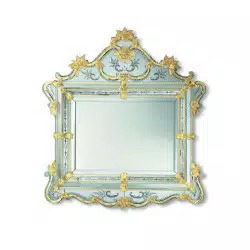 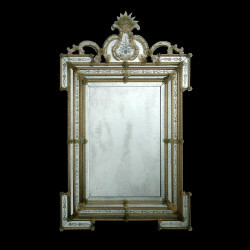 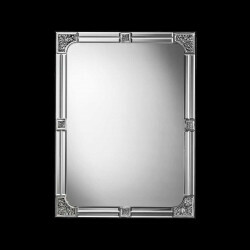 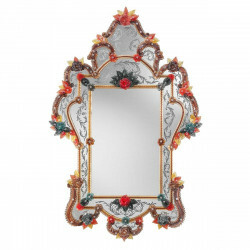 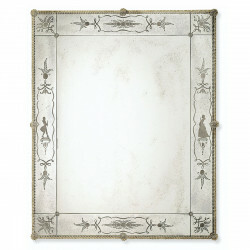 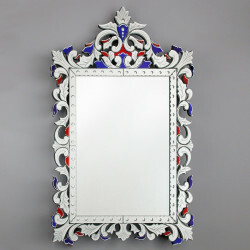 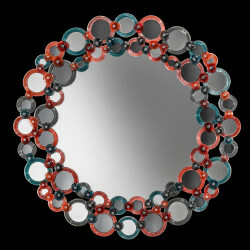 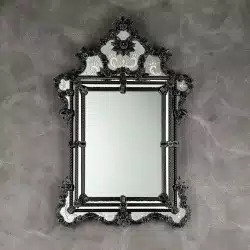 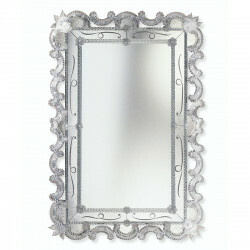 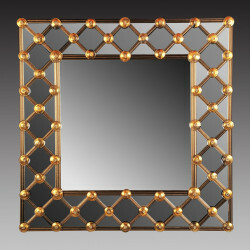 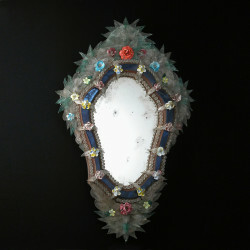 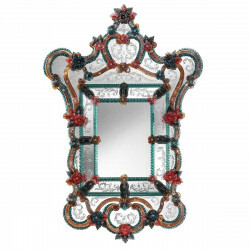 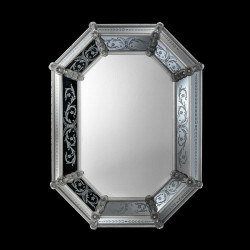 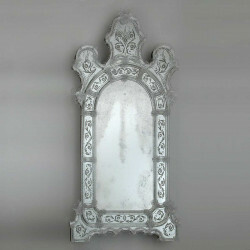 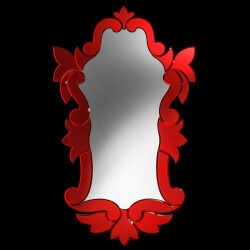 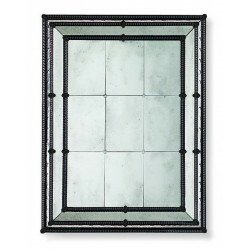 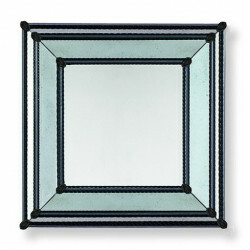 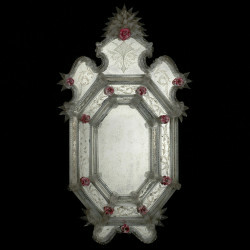 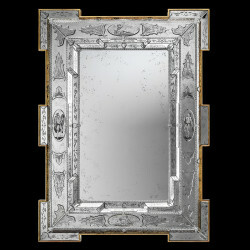 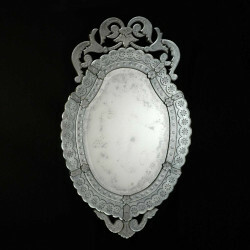 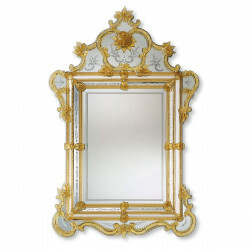 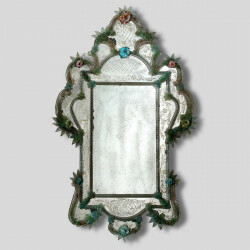 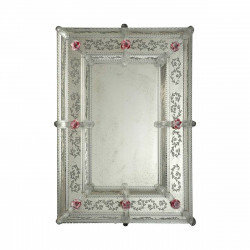 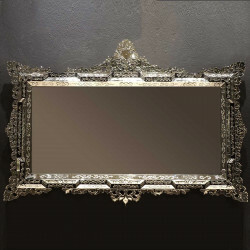 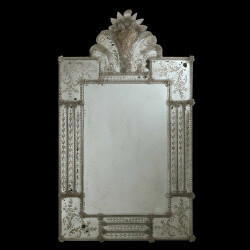 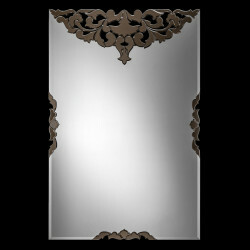 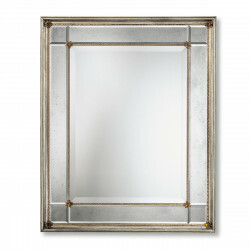 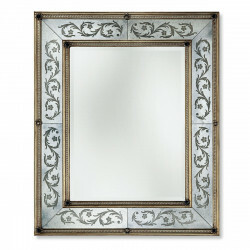 Feel a bit dramatic next time you look at the mirror with this authentic Venetian mirror with decadent details. 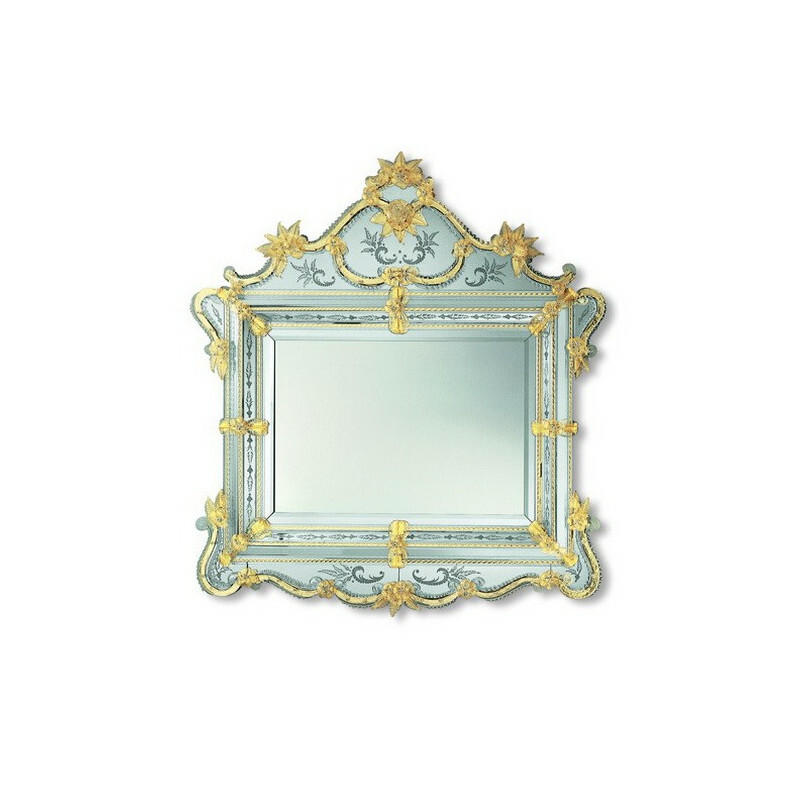 The rectangular, original Murano glass is framed to perfection with light gold detailing, and a generous addition of glass adornment. 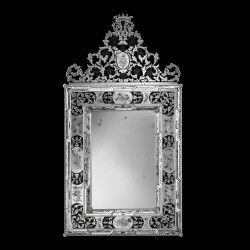 To top it off, hand engraved ornamental design was added to create a subtle appeal to the mirror melding with the decadent gold embellishments.